On Monday, Jan. 14, the Upper Lounge of the Student Union Building (SUB) filled with over 30 audience members for a near five hour-long event. This was an emergency board meeting called just a week before, on Jan. 7. According to Director of Finance and Operations Curtis Whittla, it was done so that the Campus Community Garden (CCG) could present their case for a prospective referendum prior to the submission deadline for the upcoming UVSS elections, which will take place March 6-8. Along with the motion to increase the CCG fee in a referendum; a fee for the new Peer Support Centre in the SUB and funding for a new UVSS position called Student Advocate were also referenda-related motions passed during the meeting. 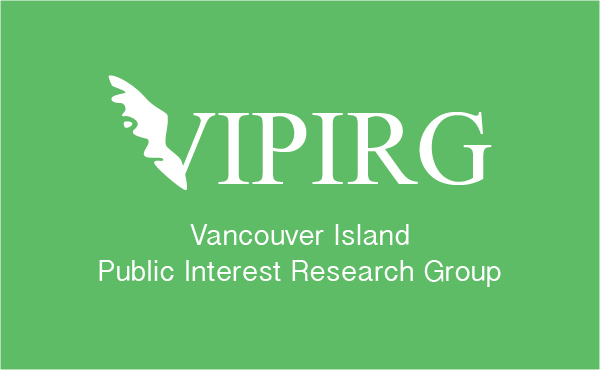 But the most notable motion on referenda submissions was put forward by Director-at-Large Eric Jakubowski, proposing to put the potential discontinuation of the Vancouver Island Public Interest Research Group’s (VIPIRG) funding to a referendum. Spoiler alert: this motion passed with a two-thirds majority vote, and, barring legal measures taken against the UVSS by VIPIRG, UVic students will be able to vote on it in March. As mentioned, the meeting took almost five hours due to a long question period, three recesses, two presentations, and time spent discussing the motion about VIPIRG’s funding. Below, we’ve summarized what happened to the best of our abilities. We’ve separated the piece into sections, so if it’s VIPIRG you’re looking for, skip the next section. One of the main motions on Monday night was whether the CCG could run a referendum in the upcoming UVSS election to ask students about raising their current levy of $1.50 for full-time students and $0.75 for part-time students per semester. If passed, full-time students would pay $3.00, and part-time students would pay $1.50. “Being able to take a mental health break and get your hands in the dirt, to be outside, to grow your own food is really important, especially as a student,” said one member of the CCG. Several CCG members presented on the current activities and services they provide, and why they feel a larger operating budget would be beneficial for the UVic community. 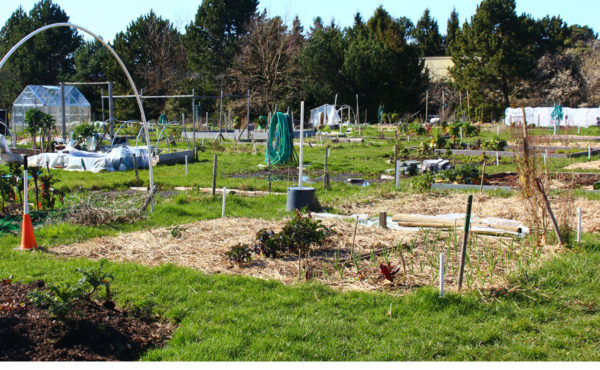 Currently the 90-plot garden, located across the street from Centennial Stadium, isn’t just used as an accessible gardening space for UVic students, faculty, and staff. The CCG hosts engagement activities, tours, summer concerts, and workshops, in addition to being used as an educational tool. The CCG also donates vegetables to the UVic Food Bank as part of their focus on food security. However, members of the CCG stated that these services may not be as extensive in the future without an increased student levy. “We do need an increase in our budget or we need to cut back on the activities that we offer for students,” they said. Presently, the group is operating at a deficit from the previous year. According to the budget featured in the presentation, the CCG had over $77 000 in expenses that went primarily towards upkeep, events, and staff wages during 2018. In that time they took in about $61 000, mainly from student and plot rental fees. Their five-year plan also accounts for a wider and more accessible range of opportunities for UVic community members, including a year-round site operator, increased events and outreach, and improved infrastructure — all of which would be funded by this potential fee increase. The motion was passed and endorsed by the board, sending this referendum forward to be decided by students in the UVSS elections in March. To conclude their presentation, the CCG invited the crowd to help themselves to the bags of vegetables and seeds that they brought from the garden. Of course, most of the meeting centred around VIPIRG — starting with a PowerPoint presentation from Anureet Lotay, the organization’s Research Coordinator. Lotay’s presentation dissected each of the claims made in Jakubowski’s motion about VIPIRG — the claims that some board members used to justify the motion. Several of Lotay’s slides addressed misleading phrasing and inaccuracies contained within the motion. Here, we’ll present the clauses laid out in the motion, and where Lotay pointed out factual inaccuracies. For the sake of brevity, we are only reporting on the financial aspect of the motion and counterpoints, as these formed the basis of the argument made by members of the UVSS board, and were the main focus of Lotay’s presentation. However, another allegation in the motion implies that VIPIRG does not serve the campus community. This will also be discussed, as it was brought up several times later in the meeting. VIPIRG: “Mismanagement of student fees” is not a statement that is supported by the auditors. But with almost four hours left in the meeting, discussion on the subject of VIPIRG had barely scratched the surface. Fast-forward to question period, which lasted more than an hour, where the Martlet and members of the audience — mostly VIPIRG supporters and a few supporters of the motion — asked a seemingly endless slew of questions to the board. 1. Does the board support the research VIPIRG conducts? 2. What was the process for putting forward this motion? Were the advocacy group representatives involved in this decision? 3. Did Lotay’s presentation change any of the board members’ minds about how they are going to vote on the motion? 4. Could this set a dangerous precedent for defunding other groups in the SUB? 5. Are there other ways of holding VIPIRG’s bookkeeping to account aside from putting their funding to a referendum? Did the board consider other options? Tensions arose again when it was time for the board to discuss the motion. Although members of the audience typically cannot participate in these discussions, they can if board members give up their speaking rights — which happened 17 times. Key moments during the discussion period included impassioned speeches by members of VIPIRG and recipients of VIPIRG scholarships, speaking about the ways in which VIPIRG supported them. This was met with an equally impassioned speech by Angelblazer about the reasons he does not see VIPIRG’s value. VIPIRG board member Kadi Diallo noted — in response to the continued argument made by members of the board that they were not defunding VIPIRG, and rather giving students the choice to decide where their student fees were going — that students can already opt-out of their student fee by going to VIPIRG and asking for their $1.50 or their $3.00 back, concluding that the motion was redundant. As the night proceeded, members of the board continued to state that the motion was not about the quality of the research VIPIRG conducts — rather, it was based on the audit results. They also continued to state that this was not about defunding VIPIRG, but about leaving it in the hands of students to decide. However, at one point near the end of the meeting, Angelblazer spoke up about his family’s continued struggle with food and housing insecurity, and made it quite clear that he does not support the research VIPIRG does — seeming to imply that this was partially why he was in favour of the motion. Particularly, he called into question the value of projects like “Beyond Rice and Beans: Food Experiences of Newcomer Immigrants & Refugees in Victoria,” which analyzed the impact of food insecurity on racialized groups in Canada and their cultural identity. In response, Tariro Murwira, VIPIRG’s Outreach Coordinator, shared her own experience with VIPIRG, pointing to the research that she said helped students, including herself. “My story as an international student is [that] textbooks are really expensive for me, because tuition is really expensive for me. That’s every student’s story,” Murwira said. Finally, it was time for members of the board to vote on the motion to decide if VIPIRG’s funding would be decided in a referendum question in the upcoming UVSS election. The motion passed, just reaching the required two-thirds majority. Out of the four referendums voted on that night, this was the only one which was not endorsed by the UVSS Board. Even with the most contentious motion out of the way, the meeting was still not over. 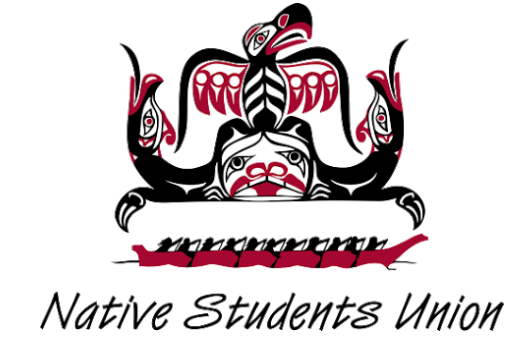 As the Martlet reported the week before, the NSU has been organizing with other advocacy groups in the SUB — including Pride and SOCC — to come up with ways in which they can support the Unist’ot’en Camp and Wet’suwet’en First Nations people in northern British Columbia. They also aim to lobby the UVic administration into taking a supportive stance. Although the actual amount that would be contributed to the Unist’ot’en Camp would be decided upon at the next meeting, most board members were in favour of the motion. 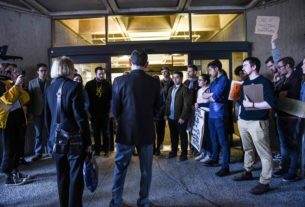 “As an organization that faces few political barriers to passing such a motion, I believe we have the opportunity to set a precedent for those who may find passing a similar motion more politically challenging,” Kerr later elaborated in a Tweet. In the audience, Bradley Thom, NSU Councillor at Large, stated that, “I think it would be extremely powerful” if the UVSS board tried to get UVic to back this stance as well. “It would be a really good way to keep the university accountable to its public statements,” Thom said, pointing to UVic’s highly-publicized Indigenous Governance law degree program. The motion passed, with noted abstentions from DaLs Jakubowski, Shaun Zhang, and Tyler Arnold. At 10:38 p.m., the board (finally) moved to in camera. The next board meeting will be tonight — Monday, Jan. 21 — at 6 p.m. in the Upper Lounge of the SUB. These meetings are open to the public, or you can follow the Martlet’s live Twitter coverage at www.twitter.com/TheMartlet. Correction made at 7:34 p.m. on Jan. 21. A previous iteration of this article implied that Whittla wanted to push the motion to support the Unist’ot’en Camp to the next meeting, while he only wanted to push the decision of how much would be contributed to the next meeting. Correction made at 11:50 p.m. on Jan. 22. A previous iteration of this article confused VIPIRG board member Kadi Diallo with VIPIRG Outreach Coordinator Tariro Murwira. The names have now been properly attributed.